4yo or 5yo's carrying no more than 9st rule the roost here and previous track form is a bonus. Victoria Cup 4th, We'll Come, ran well on his first outing and should come on a bundle for that race. Bankable is well fancied but his price is too stingy for a race of this nature and the ground may well be a shade too fast. Unbeaten last time out winners hold most of the cards here and we are looking for a filly with plenty of speed in her Sire's profile. Mick Channon and Richard Hannon do well in this race. Favourites have a job to get their heads in front here which puts a dampener on Fleeting Spirit's chances but that's not to say the winner is not top class, as a big percentage of winners have won a Group 1 or Group 2 race. We are looking for a horse with single figure odds, trained by Aidan O'Brien who has won a Group 1 race.... ok, ok, ok - should be able to work this one out. Aidan O'Brien has a good record in this race, winning 5 of the last 11 renewals. A horse that won its sole start has often gone on to win this. A 4yo or 5yo carrying over 9st and who was placed in the Chester Cup is an ideal candidate for this ultimate test of stamina and. While Martin Pipe enjoyed great success here there is no reason why his son David cannot maintain the tradition. A good guide is the King Charles II stakes at Newmarket for horses that finished 1st or 2nd and Calming Influence and Stimulation filled those places this year. Last time out winners have won 50% of the last 12 renewals which puts Calming Influence in a very strong position. Not much in the way of stats to work on but Sir Michael Stoute has twice won this and fields another likely sort in Heaven Sent. Since 2000 every winner has won a Group 1 race which gives us Ask, Duke Of Marmalade, Phoenix Tower, Pipedreamer, Pressing (Smart Italian 5yo) Winner is most often found in the first 4 in the betting currently Duke Of Marmalade, Phoenix Tower, Ask and Pressing. With 5 of John Gosden's fillies making the frame we have a likely candidate in Illusion but the problem is her rating of 83. Cruel Sea, Shabiba and Festivale have not won this season nor the favourite Makaaseb, a lay in my book. While Maramba has not raced at all this season. 2nd favourite is Cerito who also won his only start in impressive fashion. His win came on gd-fm the former on good. His trainer M Channon is in form whereas Howard Johnson is having a quiet time. Cape Amber has been contesting some good races and impressed when 2nd to Lush Lashes with Da Re Mi just behind. She should improve and will relish the fast ground. Michita was just behind when they both contested the Group 1 Oaks where they both failed to handle the course but she has already won a Listed race at Goodwood. However that race was only 13 days ago and they both may be feeling the effects. Those that finished in the 1st 3 last time out are Arthur's Girl, Changing Skies, Dar Re Mi, I think we can ignore Elmaleeha and Icon Project. Redford was very impressive on his return this season winning a class 2 handicap at Doncaster and can improve again. Commander Cave just lost out in a similar race at Haydock in May with Flawed Genius back in 4th. But there is little to suggest the latter can reverse placings. The problem with Commander Cave is he is over the weight limit at 9st 1lb. It is open to debate how far Rattan can progress from a Grade 4 Handicap at Newmarket in May. Throne Of Power however gave the impression there was a lot more to come if stepping up to a mile after a power packed 7f Grade 4 win at Doncaster in May. This is not a race in which Michael Stoute excels which throws a niggling doubt over the first 2 in the betting, Dr faustus and Kensington Oval. Collection on the other hand has a lot going for him. He made light of the trouble in running when winning a class 4 handicap at York on gd-fm in May and was considered good enough to hold a Derby entry. His trainer William Haggas,is in good form. Not a great race for favourites but not easy to tell at this stage who that will be, but at the time of writing Allied Powers and Colony are up there. Mark Johnston, Sir Michael Stoute and John Gosden have won 9 of the last 15 renewals. although a few stats are beginning to emerge. have won at least half the contests. While trainers Jeremy Noseda and Mick Channon winning 2 each. She's A Shaw Thing looks only to act on ground with plenty of give. has proved himself a Group horse. winning on a softer surface. the first 4 home. The ground there was firm and so the conditions here should suit. Bushman looks an interesting contestant. A 4year old Godolphin cast-off he came late to racing but seems to be finding his feet now in good company. and soft. Rain is forecast for Friday so this may ease the ground. usually best first time out but a place is very much on the cards here with Frankie on board. The last 6 winners were all beaten last time out. of races as a 2yo. in a Listed race at Newmarket gd-fm. gained he would appreciate further on firmer ground. Little to go on here and with so many imponderables - however ignore 3yo's and go for a horse in the first 6 in the betting. 14:30 Chesham Stakes Not much form to go on here although 18 of the last 19 renewals saw the winner come from the first 3 in the betting. Currently these are Free Agent, Seaway, Johnny Rook. The disappointment experienced by Luca Cumani at the poor display of Bankable can be erased by Mad Rush taking this. Marmalade 11-1 and 2 3rds from 11 selections, certainly got the juices flowing. choice Royal Oath 9-1 and each way choice Arabian Gleam 14-1 3rd. Others to make the frame U.S. Ranger 6-5, Supaseus 17-2, Costume 5-1. Heady days, but remember we win some and lose some so let's not get carried away by increasing stakes. Scorpion has to carry a Group 1 penalty here and may not be up to the task as plenty have failed before him. Maraahel contested the Coronation Cup (a good guide to this race) and his 3rd there suggests he can take this. 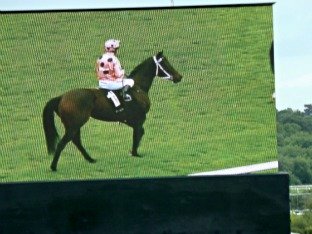 and her main rival takeover Target is laid out for this race and connections considered the 5f a prep race. Of the home team Chapple-Hyam's Al Quasi is progressive could run into a place. A middle to high draw is a strong trend as is horses carrying 9st or more. Zidane is the favourite but his stall 4 is a worry and in a tricky race Intrepid Jack and Beckermet get the vote. The latter ran a cracker at Haydock last time and is back to best form. Last time out winners carrying 9st or more rule the roost and the Dettori ridden Scriptwriter fits the bill. Previous experience of the course and stamina are the leading trends which gives Baddam an excellent chance. Enjoy The Moment was fancied in Tuesday's Ascot stakes and was eased after encountering trouble in running. Last time out winners for 2yo's have the best chance in this race, coupled with a high draw. If Janina were not in stall 1 she would rate a big threat however Aiden O'Brien's You'resothrilling has the class to take this. St Leger winners have a good record in this race and our focus should be on the first 2 in the betting. The form of Lucarno and Salford Mill stand out with preference for the latter while Mark Johnston's improver Boscobel should not be underestimated. Finsceal Beo and Darjina are the class horses to concentrate on as this race favours the first one or two in the betting. The former is fancied to reverse form with Darjina the French 1000 guineas winner by a short head. 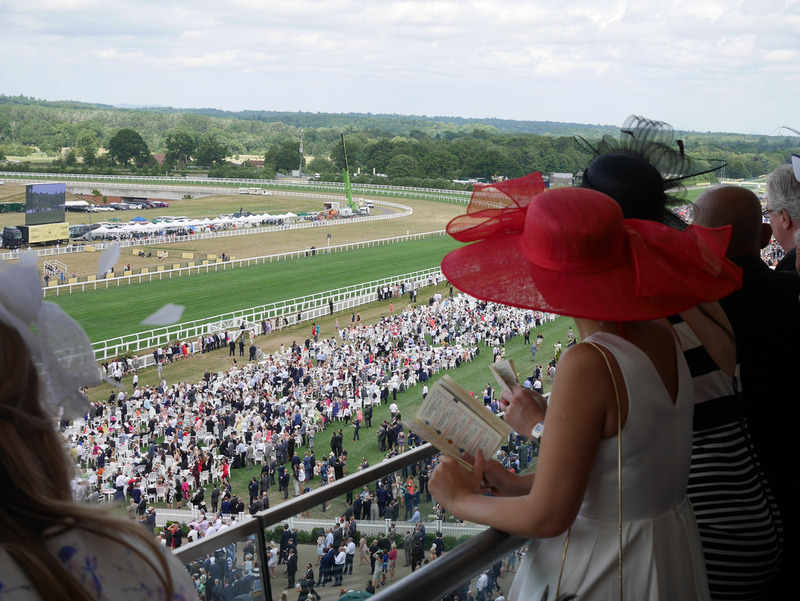 Royal Ascot 4.20 Wolferton Handicap Lightly raced horses catch the eye, open to improvement and laid out for this race. Emirates Skyline is potentially group class after his run at York suggests while Stotsfold can continue to improve. Stamina is the main requisite and we need look no further than the first 4 in the betting. Mark Johnston has an excellent record in this race and his Hearthstead Maison commands respect but he may have to give second best to Darestan who is bred to stay and boasts the best credentials. Favourites have a good record in this race especially unbeaten horses. This gives us a short list of Roker Park, Spirit Of Sharjah, Strike The Deal, Warsaw and Winker Watson. The last named has ticks in all the right boxes and gets the vote. Be wary of fillies who failed to win their Listed or Group races but consider those that recently won their maidens. The hint should be taken that Michael Jarvis has chosen Silkwood to run here in preference to Fashion Statement. The french horse Baroness Richter is to be respected and probably overpriced. Yeats is probably in a different class to these but who would take a price of 8-13? Seargent Cecil is probably over the hill. So it may pay to look at horses capable of making the frame. Baddam is a thorough stayer and is just coming to hand. Tungsten Strike would not want it any softer but is a sound alternative. 66-1 about The Last Drop is madness so who am I to put you off a small interest. Look for the first 6 in the betting and for those open to improvement. Those at the top of the weights are likely to be usurped by the newcomers. Making the frame last time out is also crucial and eliminates 14 runners. To fit the bill we have Colorado Rapid, Slate, Canongate, Artimino and Shmookh. Final considerations concerning trainer success and state of the ground suggest the following short list. Not a race for favourites, likely to be Zaham and the same applies to penalised horses. Kid Mambo is tough and did well in the Derby, not quite lasting home and this shorter trip will suit. Middle price winners have been in abundance in recent years as have those starting the season a maiden. Mark Johnston has done well in this race and his Record Breaker merits consideration however Henry Cecil can continue his resurgence with Walking Talking. The place to avoid is evidently the stands rail, so middle to high numbers merit close inspection. An in form horse is the one to be on in this race although fillies have a poor record. The spoils have often been landed by an improving 3yo and favourites have a good record. Echelon from the Stoute stable and on our horse to follow list merits consideration but could be exposed and the 2nd string Wasseema makes more appeal for the forecast. However Nannina has the class to win this as a previous group 1 winner and with her prep race 3rd brushing away the cobwebs she should take this. This is a top class race and should go the way of a group 1 winner. Dylan Thomas, Manduro, Red Rocks and Notnowcato are the ones to concentrate on. Dylan Thomas and Notnowcato have not won at the very highest level and Manduro gets the nod after his exhilirating 5 length win in his first Group 1 triumph last time out. This race favours 4yo's and 5yo's and most winners carry no more than 9st. Course and distance winner Supaseus fits the bill. Last time out winning form is important and avoid outsiders as the winner should come from within the 1st six in the betting. Costume and Cliche stand out, with the former getting the nod. The effect of the draw is unknown at this stage but recent winners have come from the first 5 in the betting which gives us Henrythenavigator, Declaration Of War, Luck Money, Pencil Hill and Bobs Surprise. Cockney Rebel is the favourite but one cause for concern is that as a winner of the 2000 Guineas he joins a band of horses (Rock Of Gibraltar apart) that fare less well on a round course. Excellent Art was given a poor ride by Jamie Spencer in the French 2000 Guineas but was eating up the ground to get within 3l of the winner Astronomer Royal. All eyes will be on George Washington who bids to resurrect his racing career. His was a class act but the price could be too short to risk a return to his best form and this seasonal dbut could be a pitch too far. Older horses tend to struggle here which casts a doubt over Cesare as do fillies which puts the 4yo's Jeremy and Ramonti in the picture. Four and five year olds carrying 9st or more have a good record in this race. 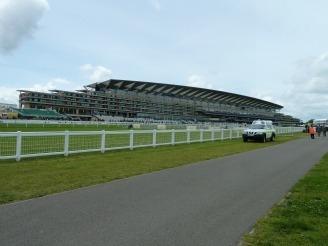 To celebrate the re-opening of Ascot racecourse I will be covering the Royal Ascot meeting starting on Tuesday 20th June. I will focus on two races on each day and will be sending out selections every evening for the following days races. 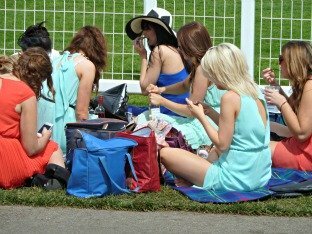 If you wish to receive these free tips simply use the Contact Us form and type 'Royal Ascot' in the text box. You will then be added to the mailing list. While Marcus Andronicus might have some improvement in him. Tends to attract an International field with Cape of Good Hope (Hong Kong) and Chosir (Australia) recent winners.